This little neighborhood in downtown Manhattan has a rich artistic history, with an abundance of artists’ lofts and galleries having sprouted up over the years. Today, however it’s become not only that, but also an area that is synonymous with New York shopping. Whether you’re looking for high end shopping or your favorite chain store, you are sure to find what you’re looking for in Soho. When you drop the bags and are looking for a place for that midday chill, you’ll be spoiled with brunch choices on every block. Here are some of our favorite picks for New York’s trendiest neighborhood. Situated in the heart of Lower Manhattan, there’s no shortage of subway lines that will take you right to this versatile haven. The ACE, BDFM, QR, & 6 trains all serve various stations throughout the area such as Prince Street, Spring Street, Canal Street, and Broadway-Lafayette. Despite being an area with many picturesque outdoor spaces, Soho has just one dedicated park. 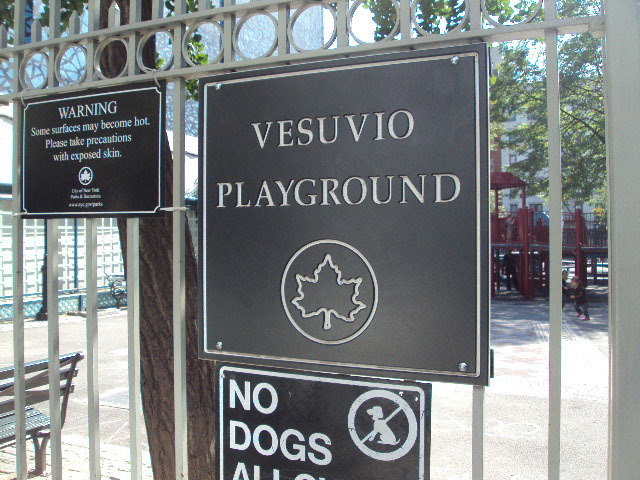 Vesuvio Playground caters to the neighborhood of Soho and its surrounding areas. It has been labelled many different names since its inception, but its current name is thanks to the popular bakery on Prince Street. Its latest remodeling added a spray-shower water play area, sandboxes, benches, basketball courts and several playgrounds. The perfect spot for those sunny days. Soho is overflowing with Instagram worthy restaurants, tasty dishes of great cultural variety, and vegan friendly cafés. 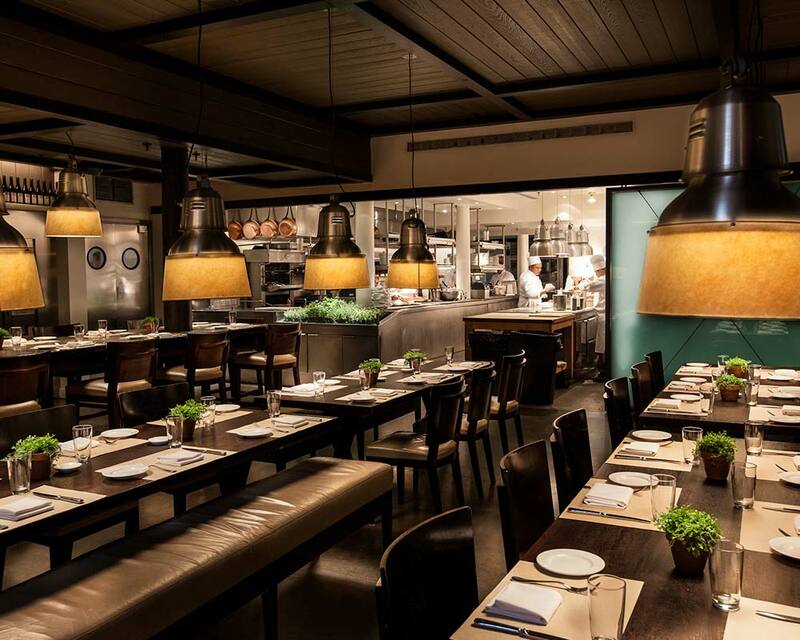 For a modern lunch in the city, check out The Mercer Kitchen. There are many delightful dishes on offer such as the Organic Trumpet Pasta with Spicy Gold Tomato Sauce, or the Roasted Black Sea Bass. However, when it comes to our order we’re all about the Black Truffle & Fontina Cheese Pizza. No matter what you choose, you’re in for a treat! For a trip around the world and some seriously cool decor stop by The Bombay Bread Bar. Yes for all you bread lovers out there, this place is dedicated to bread, specifically delicious Indian naan. There are no shortage of small chutneys and plates to complement the doughy goodness. Vegan and love wine? Le Botaniste is your new happy place. With their apothecary interior aesthetics and charming slogan, “Let food be the medicine”, you know they’re putting the healthiest ingredients into their plant-based organic dishes. The Tibetan Mama Rice Bowl is a surefire winner in our eyes. Have a sweet tooth? Or craving some cool ice cream in the summer heat? 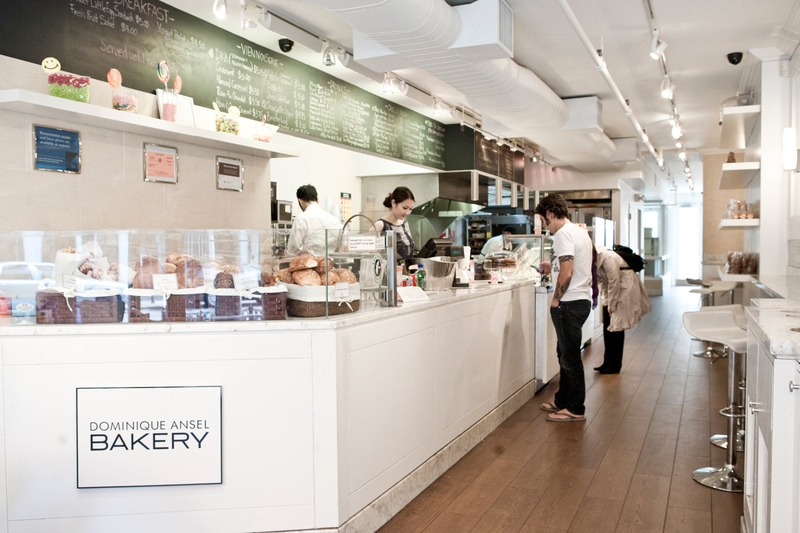 Dominique Ansel Bakery is your one-stop-shop. Renowned pastry chef Dominique Ansel creates innovative dessert treats that deserve a place on your Instagram and then your tummy. The cronuts, hot cocoa blooms, and the frozen s’mores are fan favorites, but the watermelon soft serve (made fresh and served in a slice of fresh watermelon) is the real star of the summer. 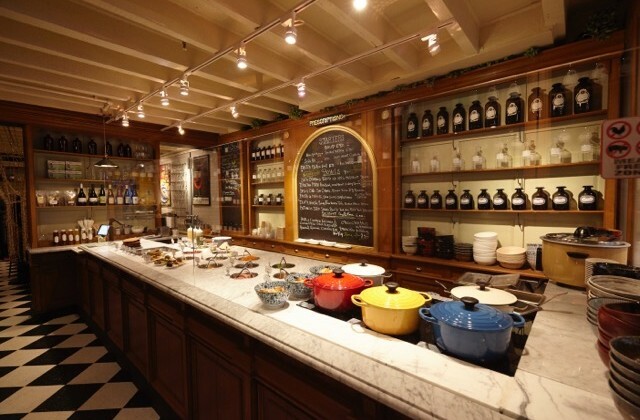 Other notable mentions: Laduree, Mooncake Food, La Esquina, Jack’s Wife Freda, Café Habana. Craft cocktails will never get old, particularly when paired with the bartender’s showmanship at The Notorious NY. 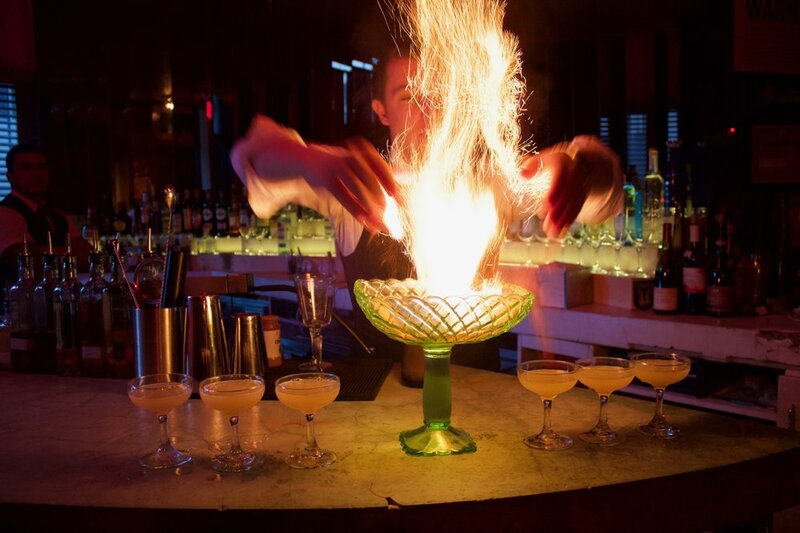 Things really heat up in this speakeasy space when you order the fire drink. We can confirm that it’s hot, hot, hot! What’s a night out without a view? The Jimmy is a cocktail lounge that agrees. Although pricey, the drinks are totally worth the outstanding 18 story views across the city. Bonus: the rooftop has a pool! A late night dip and sip in the sky is a great way to unwind as the city below continues its hustle and bustle. Other notable mentions include: Grand Bar & Lounge, Kenn’s Broome St Bar, Toad Hall, The Crosby Bar. Chances are, you will want to go shopping in Soho as the abundance of shops is exceptional, and at times, overwhelming. Walk down Broadway from W Houston St. to Canal St. to parade among your favorite stores. The streets are lined with upscale boutiques, global chain stores, and streetwear icons. We couldn’t pick just a few so here’s a list of some of the best stores in the area. AEO & Aerie Store, Hollister, Ricky’s NYC, & Other Stories, Forever 21, Urban Outfitters, Victoria’s Secret, Converse, BOSS, Aldo, Banana Republic, Uniqlo, Steve Madden, Lacoste, Guess, Club Monaco, Nike, Aritzia, All Saints, Zara, Brandy Melville, MAC Cosmetics, Bloomingdale’s, Levi’s, Pandora Jewelry, Madewell, Topshop, Lululemon, Timberland, Foot Locker. Venture off Broadway for some other gems - Adidas Original Flagship Store, Free People, Tiffany & Co., Louis Vuitton etc. Whatever you’re looking for, it can be found in Soho! Think you could fit in in one of the most fashionable neighborhoods in NYC? Then come along to our SpeedRoommating events in Manhattan to find your new glamourous home! 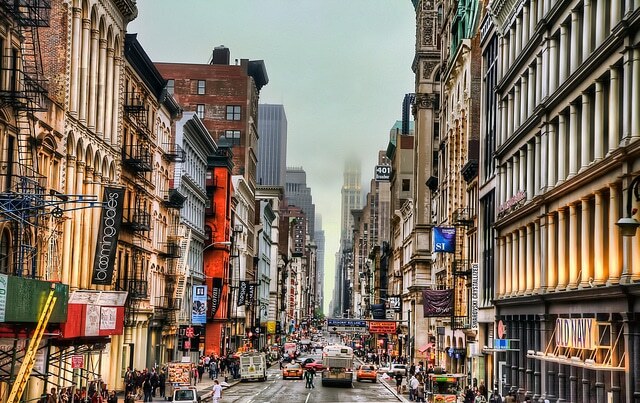 If you’re a Soho-er and proud, let us know some of your favorite things to do in the area!